That should terrify all of us. I wanted to write about this today, specifically on the heels of yesterday’s post. To briefly recap, it was about sharing prayer requests that leave us vulnerable. Those requests can empower others to pray specific prayers on our behalf; to cry with us, mourn with us, celebrate with us, and everything in between. But the flip side of that is a huge part of why we stay quiet. We don’t want to be the topic of discussion when we’re not around. When we ask others to pray for us, especially about matters that are deeply personal, it’s not an invitation to use that information as idle gossip. I would caution anyone, if you know your audience is prone to gossip, then find a trusted person who can pray on your behalf without abusing the knowledge of your personal life. And if you don’t know someone, there are many anonymous resources. You’re welcome to email me, and I’ll be happy to pray for you and keep the details private (my email address is in the comments). Or you can go to a website like Proverbs31.org and add your prayer request anonymously to their board. The ladies who pray over those requests are prayer warriors who take that responsibility very seriously. On the other hand, if you are the confidant of a deeply personal prayer request, please take it very seriously. In a way, you are being handed a very delicate, perhaps even wounded and raw part of another’s heart. When you speak of their prayer request, do so cautiously and with deliberate care. 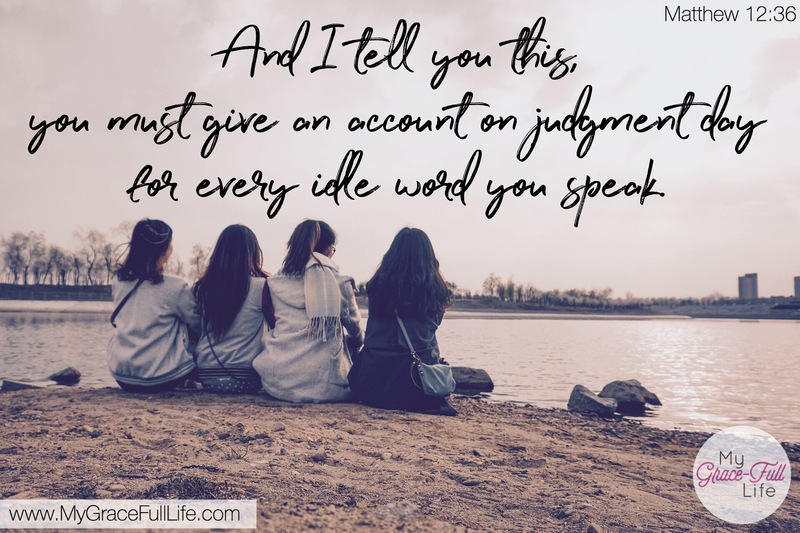 There are quite a few passages in Scripture that talk about knowing when to shut up and the effect of a careless word. Today, as you pray, ask the Holy Spirit to give you discernment when you share and give you direction to trusted prayer partners. If you have been told a personal prayer request, ask the Holy Spirit to help you handle such responsibility with wisdom and compassion. If you want to send me a confidential prayer request, my email is denise@mygracefulllife.com. Next Next post: 1.6.18 Prayer Prompt: What Do You Want God To See?